TLG has had another good month this May. We've been working extremely hard to bring the whole company into fighting trim for many, many long months and it seems to be paying off. Dro Mandras shipped to retailers and Crusader 9 is on the press machines and being printed. I'm in the middle of a re-write on Shades of Mist...not really a re-write so much as a read through. The intro was pretty jumbled but after fixing that the reading picked up. I expect it to go to Cory tomorrow. 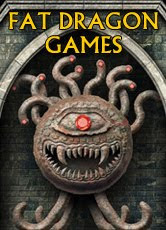 I've also been compiling my files for release on Paizo.com and we are planning on a big electronic release on Sunday, June 1st. June may be a good time to launch a certain annual event we have grown accustomed to doing. Check back on Sunday for that too...assuming I can get Brian to upload everything on the weekend. Sometimes he has a life or something like that. But more importantly I've spent a chunk of this week working over CKG files. Davis turned the mass over to me for organization. I'll soon know where the holes are and what needs to be done to fill them and what we need to do to completed material. This will not move to editing or layout until Upper Works is 100% in the bag and Lejendary Pantheons is 100% in the bag and Lejendary Rules for All Players is 100% in the bag. It does look like it will be close to 180 pages with a $29.95 price tag. Concerning Upper Works, pre-orders will open up on June 1st. We've about set the price tag. It is not going to be the $70.00 - $100.00 that other box sets go for, but it will probably be $39.95 or $44.95. This is way beyond what I would like to see in a price tag, but we are looking at some 30+ maps, some 11 x 17, one color. scores of illustrations 7 books with 5 covering levels the other two art and player handouts. Its a big project and we want to do it correctly. Okay. Back to work for me. Its been a good solid work week here. With Free RPG Day wrapped up we moved on to other things. We've shipped off Dro Mandras and Crusader #9 has landed and is being prepped for printing. Things have gotten a little bit busy and convoluted with the number of projects and now the number of associates working for TLG that I've taken to making lists of things that have to be done. I decided to do this Sunday night, late, while musing on all that Monday would bring. So while sitting on my screened in porch, overlooking the trees of the little valley behind the house I sketched out 20 things that I had to do on the following day. I'm not much of a "list" kind of guy, but in this case it seems to have worked. It keeps me focused. And I try not to do anything else other than the items list, working from top to bottom. I'm also trying not to multi-task as I think that multi-tasking actually lets you do alot and finish little, sort of like the "short cuts cause long delays" approach. It all seems to be working. What I don't finish from the previous days task, move to the next and so on. Its not completely possible of course as the biz is a bit fluid and things come up that I can't control but have to be tackled. But the idea is to keep a good balance. We'll see if I can keep this up. I have just wrapped up my articles for Crusader #10. We are starting a new column called "Monsters of Aihrde" where we will present a new monster each issue. This issue sees the Naerlulth, a creation of Unklar the Horned God. These beasts were powerful servants of his, not far removed from the Mogrl. Jason had read over for them and had this to say: "but if you want this thing to be a TPK machine then THUMBS UP CHUM, HE FULLY IS!" LOL It is poweful. But it creates its own landscaped within which a CK can run whole adventures without ever encountering the monster, as it spawns creations of its own...of course the first of those will be showcased in Crusader #11. I also finally had a chance to sit down with Davis and get caught up on a number of projects. Personal issues have kept him from much involvement for a few months and it was good to touch bases and find out what is happening. 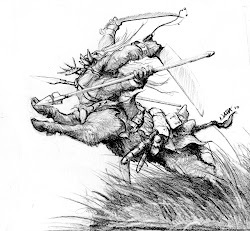 His approach to gaming and design are not far removed from my own and we work well in tandem, thus making the Chenault Brothers the heart of the Swords & Sorcery milieu around here. Lots of shipping today, and finally able to work on the Encounter Tables. We have some new product announcements this weekend that you'll see, so check back often. See you on the boards and as always, thanks for playing. Wednesday at last found me back in the office. I spent the better part of the morning not writing as I had intended but working out freight problems with ABF for all the Free RPG Day material we've been shipping, paying some bills and clearing the desk of two weeks worth of paper work . . . invoices for such things as paper, new blades for the cutter, hoses for the cutter, UV coating etc etc. After lunch I discovered that my solicitations were due and I had to scramble to put that together. Of course, then I discovered that I had only half converted my dozen or so word sheets to the single excel sheet. Finishing this task I set myself to finishing the product announcements, getting the ISBNs set and stock codes determined. All this was wrapped up and it was suddenly 5 in the evening, quiting time. Wednesday night is generally game night for us, so after some family biz I headed over to Todd's to run the crew through more adventures in the southern Darkenfold. The game went so well that it fired me up to get back to Aihrde. Which is what I did today. I finished up some minor biz and spent a great deal of time on the phone with Jim Ward, Aldo, ABF (setting up TLG's shipping account) a few customers determined to get their copies of Crusader despite my apparent inability to ship them and some various and sundry other folks. By 1 p.m. I found myself in Aufstrag, in Klarglich with Unklar as he forged the Naerlulth, foul creatures of his design set to mock the trees of the All Father. These powerful creatures turn all that they touch to ash and live in the desolation of their never ending hunger. They attract the dispossessed minions of Unklar to their service and spawn other creatures of like evil. Its brought me back to Aihrde with a gusto. This creature will be showcased in a new column in Crusader, starting with issue 10, that highlights Monsters & Treasure of Aihrde. And yes, for the doubtful, we are working on issue 10 already, as 9 should print next week and ship the week after. Tomorrow is a short day as the family and I are off to Muskogee to hang with Peter at the Ren Faire. They do a big canon salute on Saturday that I know the youngins will love. 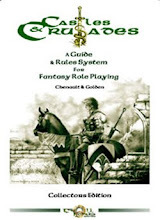 On Monday I have cleared the docket for work on Shades of Mist ( a few hours at best before I turn it over to Cory) and the Castle Keeper's Guide. So with luck Monday's blog will bring some long sought after news about that little project. I headed out bright and early to find a replacement hose for the cutter. I went to several hydraulic supply stores and came up empty, finally finding Royal Brass & Hose on Baseline Rd. It took about an hour for them to fabricate a new hose with new fittings. With replacement parts in hand I headed back to the print shop. Mark was arriving about then and we put the whole back together. Of course I had to head out and get some hydraulic fluid and while I was at the hardware store I decided to get 6 feet of rubber tubbing to extend our shop's indoor air conditioner's drain (the supplied hose was only 1 foot long and not able to reach anywhere, so in typical Arkansas fashion we jerry rigged a garden hose to it). After clamping that on and putting a fresh batch of fluid in the cutter we were back in business. Mark commenced to work and I did some shrink wrapping. The heating element promptly burned out and that machine went down. We had spare parts for it and after a bit had it running again. This consumed much of my writing time of course and I pushed back to tomorrow what I wanted to do today. But we did manage to put to bed two outside projects and get Dro Mandras off to the Impressions warehouse in Ft. Wayne. The cover on that book looks great, a deep green to draw out the colors in the picture Peter Bradley drew for it. Great stuff by Casey and Peter. 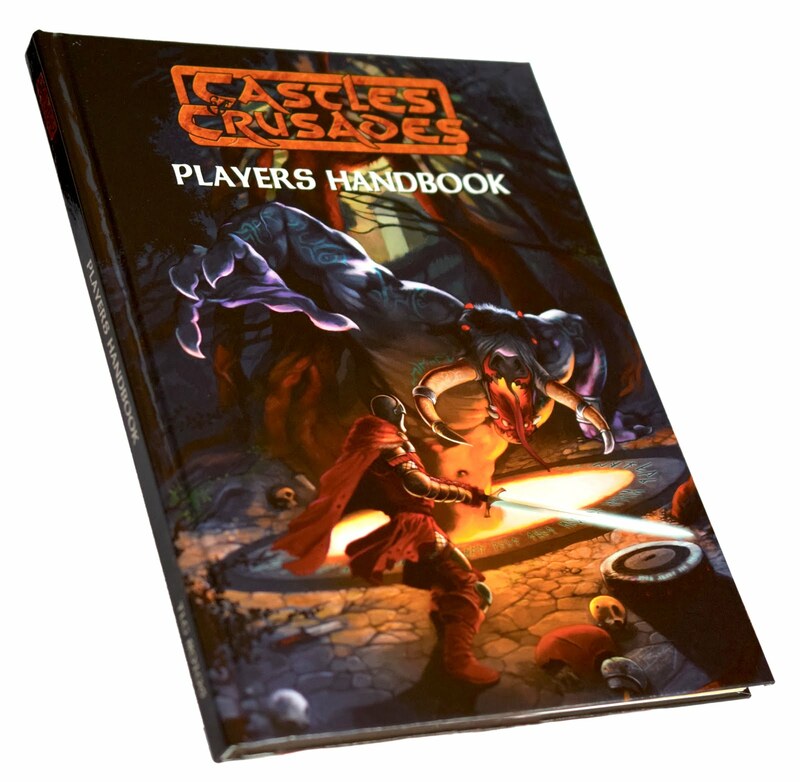 Tomorrow we have some major shipping to do, the last of the Free RPG Day material goes out as well as one large outside job. Once that is in the bag I'm back in the office to catch up on email and writing. Things should lighten up and I fully expect the next couple of weeks to be very C&C productive. After a long week last week Mark, Davis and I all scattered to recoup a bit (Peter was at the ren faire so he had to keep "working", I put working in quotes because there are many good looking young lasses wandering around that faire and he was probably not "working" that much ;) ). I spent the weekend on my folk's farm walking the fence line and repairing damaged fences. I got caught in a tremendous thunderstorm whilst out in the wood. All very relaxing, but it did make me wonder what it would actually be like to be in a suite of chainmail and get caught in that kind of weather. Mark spent the weekend hanging with my dogs and playing Lego Starwars on the Wii. We opened shop early this morning and tried to get some outstanding jobs wrapped up. We are only half way through Free RPG Day now and stopped it to get Dro Mandras finished. We had a few outside projects that needed some TLC and we tackled those, only one of which was actually finished. I abandoned Mark in the afternoon and returned to the office to wrap up some ads for Crusader 9 which should be to press next week, and get some files out to editors and the like as well as upload A2 Slag Heap to Paizo's PDF warehouse. If the opportunity presents itself I'll upload a file each day until I've brought the Paizo website up to speed with RPGNow and Drivethru. I've neglected that site far too long. Mark worked on into the evening until a hose on the cutter burst and sprayed oil all over the place. He called and I went over to the print shop and he and tried a patch job, but no dice, the split was too severe. So we pulled the hose and figured out what I'll be doing at 8 in the a.m. tomorrow. Hopefully we can get it up and running pretty quick as we need that machine. Tomorrow I tackle Crusader 10 articles and start my re-read of Shades of Mist . . . after finding a hose of course. Well hello everybody! Its been over a month since I updated this thing, but I do have reasons. We've been busier than busier than a stump tailed mule in a fly patch. Mark barely had time to get his bearings one working full time and all that that would entail before Free RPG Day came roaring on us. Of course we weren't very prepared for it so after some scrambling and two odd week's worth of work we've caught up. This took myself, Peter, Jason Walton and Josh quite a bit of hoping to make it happen. But the end result is pretty good. We'll be shipping (and have already shipped some) 3000 books for C&C Quick Start and a further 3000 for Starsiege Event Horizon Quick Start to retailers. All the while Jeff has put a wrap on Upper Works, Cory has begun the final edit. 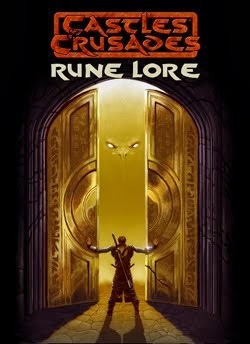 Spencer has finished Lejendary Rules for All Players, Peter is almost done with the cover. Casey Christofferson has sent in three small books, Cannfield whole sections of Essential Places. Davis has dropped part of the draft for A5 (Peter has also finished the final cover for this one) on my desk and some CKG material. Robert is busy on conversions for Lejendary Pantheons (not to mention Peter's new cover, now complete). Liz and Jim have hammered out Crusader 9. I've finished Dwarven Glory II and Shades of Mist. It lacks only a final reread. So things have been a bit wild around here and I'm playing a heck of a tune trying to keep it all organized. More as it comes to me.